With over 22 years of experience in litigation, you can rely on quality representation through trial. We're dedicated to ensuring that all of our clients legal needs are met and exceeded. By offering high-quality legal work and personal client service, we’re committed to providing you with top notch legal representation. Each engagement benefits from the depth and breadth of our expertise. We approach every client with a focus on integrity, advocacy, and understanding. We fight for you! 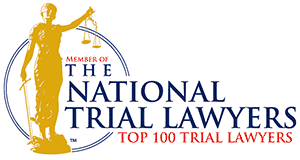 Trial Lawyer - Because You Need Experience You Can Trust. Over 24 years of expert legal services. Copyright © WATTERSLAW, PLLC. All rights reserved.